At this year’s BUILD conference in San Francisco Microsoft announced Micromax as its new hardware partner for the Windows Phone ecosystem. Today, we get to hear some new rumors about the first upcoming WP smartphone from the Indian manufacturer. 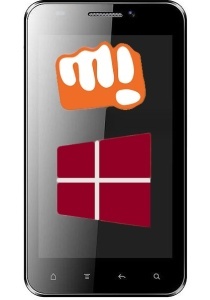 Micromax’s first Windows Phone is rumored to sport a 5-inch FullHD display along with a Qualcomm Snapdragon 800 chipset with 2GB of RAM. The leak suggests that the device will feature a 13 megapixel rear snapper and a 5 megapixel front facing shooter. Lastly, there is 16GB of internal storage, expandable via a microSD. If the rumors are to be trusted, the smartphone will run on WP 8.1 and will go on sale in July with a price tag of INR 23,000 to INR 25,000 (about $390 to $425).